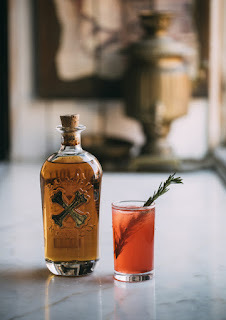 Bumbu Rum is based on the original recipe created by 16th and 17th-century sailors of the West Indies, who blended native Caribbean ingredients into their rum and called it “Bumbu” – truly the original craft spirit. Using the same all-natural native spices and no artificial colors or flavors, our rum is an authentic revival of this piece of Caribbean history, distilled in small batches and blended by hand. 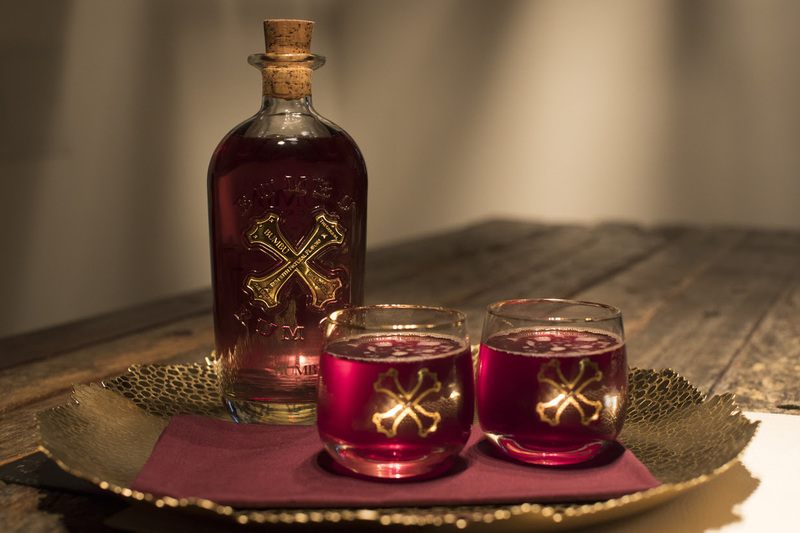 Bumbu Rum is pretty sure our great-great-grandfathers would approve. The bottle is ultra-heavyweight glass bottle is a work of art on its own, adorned with a tarnished metal "X" in front and map of the Caribbean across the back. Our favorite part is the old-fashioned, oversized cork you’ll hear a celebratory POP each time you crack open the bottle. We recommend you to sip our Bumbu straight, but try it over ice or in your favorite cocktail. Combine all ingredients and shake, and top with ginger ale. Garnish with pomegranate seeds as desired.